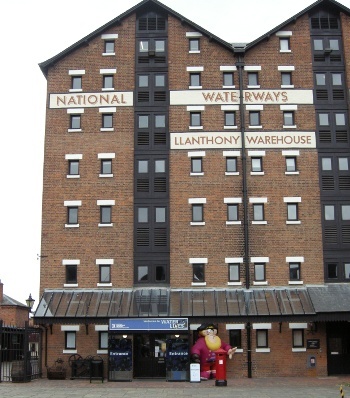 The National Waterways Museum is split across three sites in Gloucester Docks in Gloucestershire, Stoke Bruerne in Northamptonshire and Ellesmere Port in Cheshire. This is a review of the first two as I’ve not yet visited the Ellesmere Port museum. If you plan to visit more than one of these locations then be sure to ask for a season ticket which gives you unlimited access to all 3 locations for a year. I have visited the Gloucester Docks museum on two occasions now. On the first we just visited the museum, but on our subsequent visit we went on the boat ride as well. I’ve already posted a review of Gloucester Docks National Waterways Museum from our earlier visit. The boat ride was quite good. It was 45 minutes up the ship canal, passing through a lifting bridge and a swing bridge. The boat had an area that was covered as well as an open area in the front. They also allowed us to bring our pushchair on the boat which we folded up and left at one side, although I’m not sure how that works when they are busy. The kids enjoyed the boat-ride, but they were getting restless and needed a toilet by the end of it so I’m glad it wasn’t any longer. There is a cafe next door, but we ate before we arrived so I don’t know what it was like. There is also a shop with a subway just a few minutes walk away. 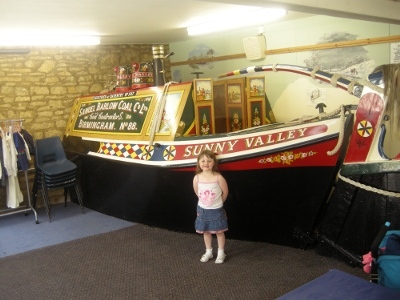 The museum at Stoke Bruerne is a bit more of a traditional museum without the same hands-on children’s activities as Gloucester docks. The museum shop is on the ground floor and the museum is accessed using stairs to the 2nd and 3rd floors. There is no lift available so I had to carry our youngest. A hand-help audio commentary is provided included in the admission fee. This covers not only the exhibits in the museum, but also a walk along the canal towpath up to the tunnel. The walk is mostly accessible with pushchair, although I did not try the part of the walk that went through the woods instead going straight back along the tow-path. We had really good weather when we visited so we had a picnic on the bench at the side of the canal. There is a cafe and a pub nearby with a children’s play area. There is also an education centre behind the museum that is free (I believe even for those not visiting the museum). It had a full-size model boat and some clothes to dress up in, but didn’t have much else. Some craft activities would have gone down better with my children. This entry was posted on Monday, August 3rd, 2009 and is filed under Babies, Children, Midlands, Tourism. You can follow any responses to this entry through the RSS 2.0 feed. Both comments and pings are currently closed.